Previous FALL & WINTER CLASSES START JULY 9, 2018! Next New Year, New Location, New Classes! The costumes area sewn, the dances are finished and polished to a sparkly shine and ready for your viewing pleasure. 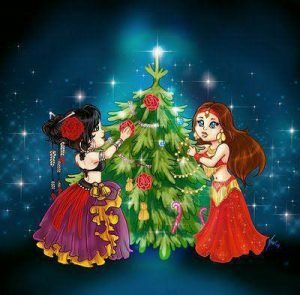 Join us this Sunday, November 25 at 2pm at the Williamsburg Regional Library Theater for our Holiday Hafla. See you soon! COST: $10 donation suggested at the door.